Looking for a quality high-speed rewind builders chalkline? 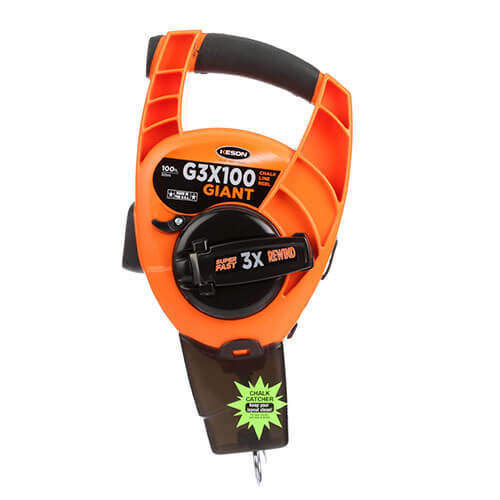 You've found it with the Keson G3X100! Super high-speed 3 x 1 rewind. Patented Spring Cleaner keeps the chalk from spraying. "Glovable" grip for cold weather or rough conditions. Huge BigMouth opening to ease fill up and a no-leak stopper to keep it shut until you want to chalk up. ABS Handle and Case takes a beating and the Keson orange can be found quickly in the clutter.